DALLAS – The 10th Annual Patriot Cup, a lacrosse showcase being held at The Star in Frisco, Texas, will feature a pair of MCLA matchups this season when the event takes place on Feb. 17. The Patriot Cup is headlined by the NCAA Division I matchup between Yale and Villanova, but a pair of Lone Star Alliance matchups will share the marquee. 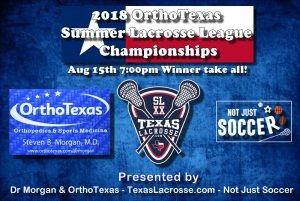 Two-time defending Lone Star Alliance champion Southern Methodist will tangle with Arkansas at 3 p.m. while the second contest will feature the lacrosse version of the Red River Rivalry as Oklahoma and Texas tangle at 6:30 p.m. The Star is a 91-acre campus that serves as the headquarters for the NFL’s Dallas Cowboys and features the state-of-the-art Ford Center, where all of the games at the Patriot Cup will be held. Tickets for the Patriot Cup are currently available online.